Are you struggling with backed-up sewer water, broken pipes, or other problems requiring sewer main repair in New Jersey? At A1 Sewer & Drain, we provide quality professional sewer main repair services services, including sewer repair for burst pipes, tree roots in the sewer main and frozen pipes. 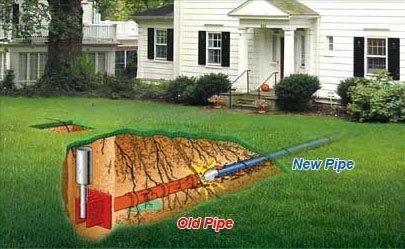 Sewer repair can often be done without using trenchless sewer repair that fixes the problem without digging up your lawn and landscaping. With staff available for 24/7 emergency sewer repairs, we can have the problem fixed in no time, with minimal damage to your yard. After inspecting the problem with sewer camera inspection systems, available from manufacturers like CUES Inc., Insight Vision, Envirosight, we’ll get to work performing sewer repairs. Most of the time, we’ll use trenchless techniques. 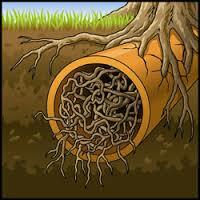 Sewer pipe lining. Lining is a method of sewer main repair that creates a new “pipe within a pipe,” quickly fixing a cracked or broken section of your sewer line. A special resin-coated plastic tube is inserted into the damaged pipe and inflated. It’s left to sit so that the resin can safely harden, creating a brand new segment of pipe to fix the problem without needing to dig any major holes. Pipe bursting. 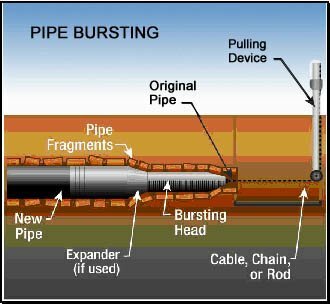 This method involves pulling the new section of pipe through the old one. The old pipe, which is already cracked or broken, is fractured outward as the new one replaces it. 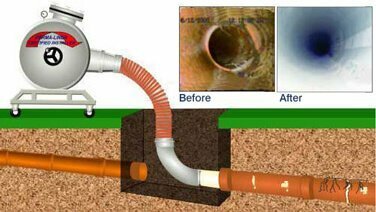 This form of trenchless sewer repair is often used on jointed pipes, or pipes that have completely collapsed and can’t be fixed with a liner. With trenchless sewer repair in New Jersey, our team of trained repair professionals can perform quick, effective sewer main repairs. It’s so noninvasive that when we’re finished, you won’t even know we were there. 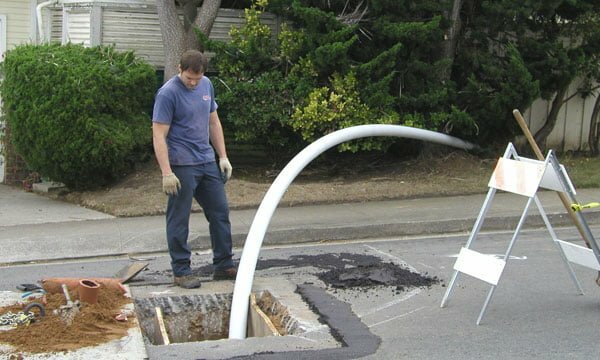 To find out more about quality professional sewer main repair in New Jersey, including trenchless techniques, call us today at A1 Sewer & Drain, at 201-645-0888.